Following their sold-out event in October featuring Hyperdub boss, Kode9 SHOOK is back at The Yard with the strongest lineup to date. Support comes in the form of the strongest upcoming DJs in the scene starting with 140 legends, Sicaria Sound. The two have made serious waves in the scene with their Rinse FM residency as well as hosting and performing on Deep Medi boat parties at Outlook Festival, which they will be returning to this year. We also welcome NTS resident and producer Anz, who constantly pushes the boundaries of bass music with her eclectic production styles. Following her Boiler Room debut in 2018, she is one we’ve been waiting to have on our lineup. If that isn’t enough, we host the debut set of 6 FIGURE GANG which is a DJ supergroup formed of London’s strongest DJs. Consisting of, L U C Y, Jossy Mitsu, FAUZIA, Dobby, SHERELLE & Yazzus. 6FG now host their own residency on Rinse FM pushing the expectations of radio shows, who knows what they’ll bring to The Yard. 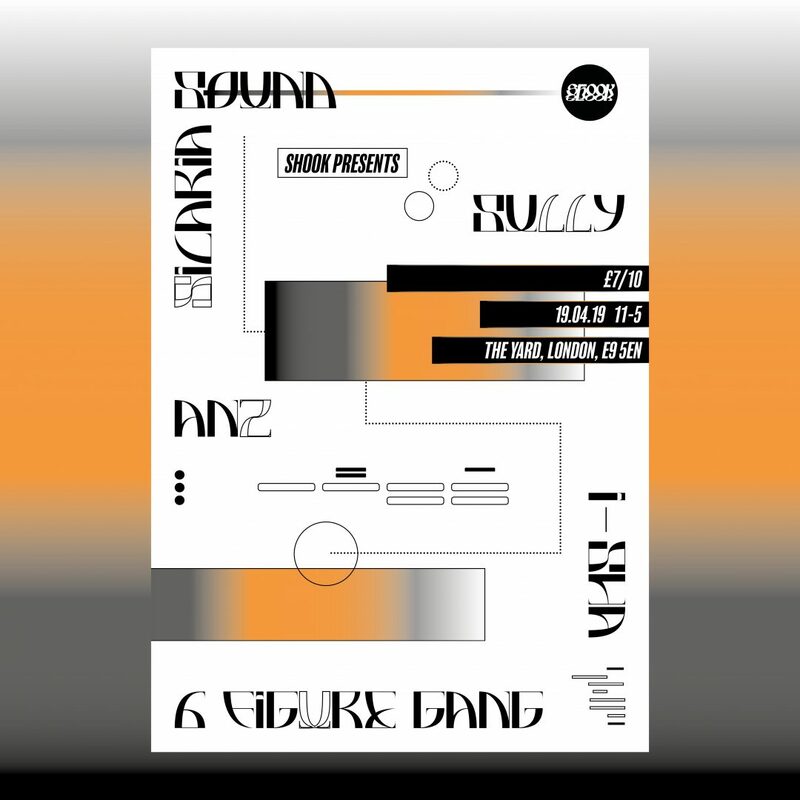 SHOOK member I-SHA will also be joining the line up bringing in all sounds of uk bass, from uk techno to club and grime, a variation of sound is to be expected from her London debut set.